Women of the ELCA websites! After the blizzard in the middle of March we look forward to warm weather, Spring, and Easter. Each year as Easter approaches I am reminded of what an awesome God I worship who gave his only Son to die on the cross so I may live eternally. Thank you sweet Jesus! April will be busy for the WELCA group. Please check the newsletter and bulletin for all the opportunities. April 5 starting at 5 PM is the Women’s Retreat at Outlaw Ranch. This would be an excellent way to worship our God in this season of Lent. Please go to the website at Outlaw Ranch to register for this event. Lenten Services at United Church of Christ here in Spearfish. You may be contacted to help with cookies or bars or to help serve. Thank you ahead of time for saying yes and helping with this. Our Mother-Daughter Friend and Neighbor Prayer Brunch and General Meeting is April 13. Tickets will be on sale between services prior to the brunch and also available from Esther Circle members. The price this year is $10. We are thrilled to have Jane Klug as our main speaker and she will share some of the mission trips and stories she engaged in. Please make sure you get your tickets for this. 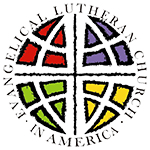 On Saturday April 27 Grace Lutheran Church in Sturgis will host the Bear Butte Conference. Please watch the bulletin for times as we try to car pool over for the Conference. How I look forward to echoing the words He is Risen! He is Risen indeed!